Today I spoke at Social Media Breakfast Maine about design trends for web sites and e-newsletters. If you’d like to find my complete slide deck, I’ve posted it to SlideShare. You may also like to read about 2017 Web Design Trends on the Visible Logic blog. The term e-newsletter came from the fact that newsletters used to be printed, and when they became electronic they took on the name e-newsletters. Don’t let this old idea of what a newsletter should look like get you stuck. Your e-newsletter should be an education-driven, content marketing strategy, but don’t make it look like a newsletter of yesteryear. You are much more likely to have success with the simplified layout on the right. Consider these typical statistics. Let’s say you have a list size of 1,000 people with a typical open rate of 30% (300) and you usually get about 50 people to click through from your e-newsletter to your blog. With an e-newsletter that features 3 articles, you’ll split those clicks, and the top story will probably garner about 75% of your click-thrus. 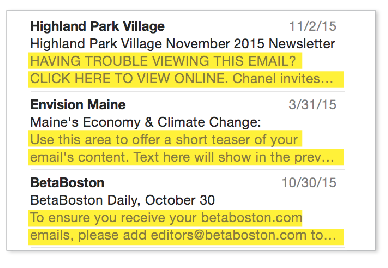 Now, let’s imagine that you actually had sent 3 separate e-newsletters (spread out weekly, for example). 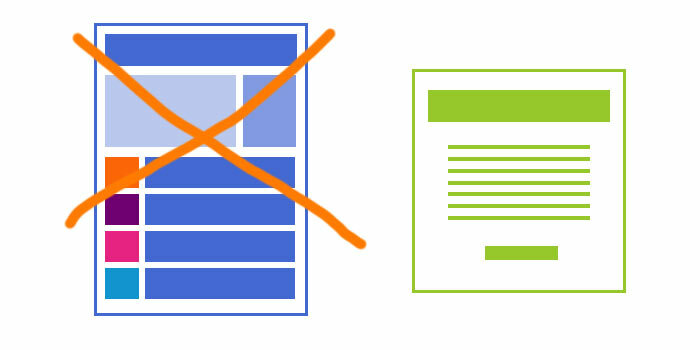 It’s likely that your CTR (click thru rate) will not be reduced down to one third. In fact, it may even rise. So now you’ve reached 50 people with 3 pieces of content rather than just one. I challenge you to try this in 2017. There is a lot of buzz right now about how powerful segmenting and personalizing your email marketing campaigns can be. You often need an expensive marketing automation platform to do this in a robust way. However, even some basic changes to your workflows can help you take advantage of why more targeted emails are more effective. Collect more information. You need to collect (or build) beyond just an email address. In the past several years, many companies have asked for the most minimal amount of information: just an email address. 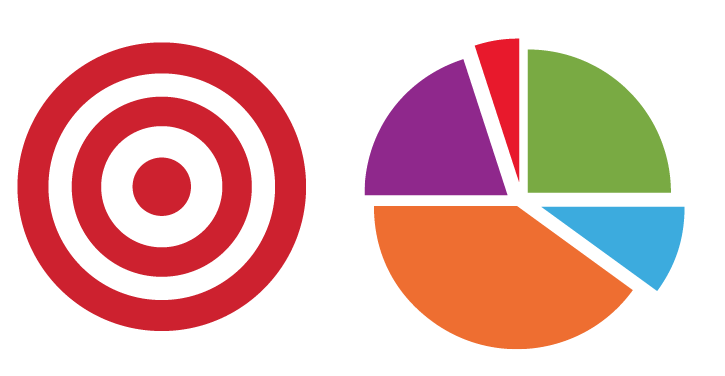 But if you don’t collect any other data, you cannot do any segmentation or personalization. Think about what other information would help you. It doesn’t have to be full contact information (as people don’t like to share that), but consider adding a question about their area of interest, their industry or their general geographic location. Create multiple lists and segments. You can’t take advantage of segmentation if all of your emails are in one big list. An easy way to segment people is to create forms at different places throughout your web site, that populate to different lists. Additionally, you can continue to segment based on interaction (who opens, what they click, etc.). We have some more in-depth information about lists, cross-checking and segmentation in this post. We are all bombarded with too much information and too much email. We are quickly looking to determine what we want to read and what we want to delete. 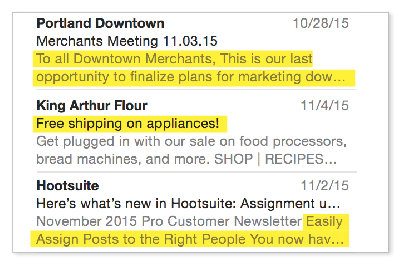 Subject lines and snippets (or preview text) warrant your full attention. Check out these two screen shots from my email program. Poor use of subject lines and preview text. This top screenshot shows three poor uses of the snippet preview. These mistakes are all too common. The first features the web-based link to the e-newsletter content. The second shows when someone forgets to override the default preview text (ha!). And the third is all about white-listing the sender’s email address. None of these add any value to the email, or prompt me to want to open it. Now let’s look at three effective subject lines and snippets. Effective use of subject lines and preview text. Each of these emails quickly tells me why I may want to click thru for more details. They offer clear information or offers. Let’s look at the Hootsuite one (bottom) in detail. Without even opening the email, I have learned that Hoosuite is announcing a product development and I can see what the feature is generally about. Without even opening the email, I have experienced another positive brand touchpoint and it’s planted the seed about their product innovation. When they review their email marketing reports, they may see a big “0” next to my name as not having opened or clicked, yet they’ve made a positive impact on me. In short, we’re all overwhelmed. With too much to do, and too much information bombarding us from all angles, we seek clarity. Use meaningful graphics and engaging writing to make your emails stand out. You may also like to read about 2017 Web Design Trends on the Visible Logic blog. I agree with you. Nice post. Hope to have more time to read your other article.